Humans have been using soap for a very long time. And for good reason, of course. It works! It cleans our bodies, homes, utensils...you get the picture. It's used in large part because of its ability to strip away things like dirt and grease- two things you don't want clinging to your living room floor and kitchenware. They're also two things not many of us want clinging to our faces and bodies either, but for better or worse, when it comes to skin and the benefits of soap, things are a little more complicated. See, that same stripping ability we love so much for cleaning dirty dishes is actually harmful for our skin. Why? Because our skin is coated with a very thin lipid-based barrier known as the acid mantle. The acid mantle is what regulates your skin's pH and protects it from foreign invaders. When that acid mantle comes into contact with oil-dissolving soap, the acid mantle is disrupted and the skin left vulnerable. 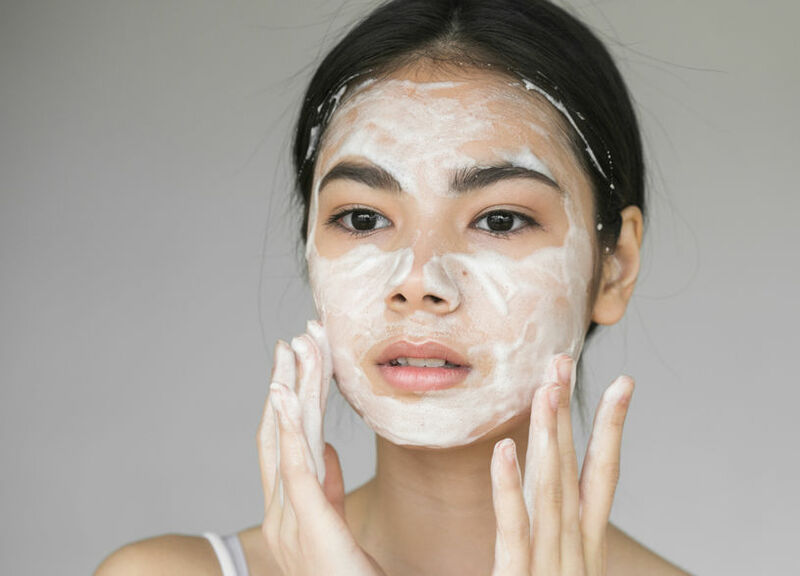 Skincare professionals know this, and it's why estheticians are taught to always use a moisturizer or serum after cleansing the skin; it's basically an attempt at replacing the acid mantle. The only problem with that? A lotion just isn't the same; it just doesn't cut it. And that's where oil cleansing comes into the picture! Many oils have natural antibacterial properties and easily remove dirt and grime from the skin without stripping away the acid mantle. Oils like jojoba even help to dissolve sebum that's clogging pores, which in turn helps to prevent and reduce breakouts. When massaged into the face and washed away with a warm, wet cloth, the skin is also gently exfoliated. And, if that weren't good enough, natural facial oils actually help to nourish and protect the skin's protective layer instead of just stripping it away. So, if you don't want to give up using soap for good, that's just fine. But what you might want to consider doing is replacing your sudsy facial cleanser for an oil-based product instead. You can keep it simple and stick with one oil like jojoba, or purchase a blend of a few oils like rosehip seed and sunflower. Some people like to include anti aging essential oils in their oil cleansing blend as well! If you're new to oil cleansing and don't know where to start, we recommend beginning with good ol' jojoba oil, or at least a blend with jojoba as its base. That's because it doesn't clog pores, is easily utilized by the skin and has a balancing effect on all skin types. Give it a go, and discover for yourself why oil is the new soap.